Both the Tax Office and the corporate regulator see property investment in superannuation as a “live issue”. Speaking in a panel hosted by the SMSF Association and the ATO this week, Kate Metz, ASIC technical adviser to the deputy chair, said that based on some of the recent work ASIC has done speaking to consumers about their experience and why they choose to set up an SMSF, it is clear that property continues to be an ongoing issue for SMSFs. “Many [SMSF trustees] chose to set up a fund to invest in property. They [tended] to solely invest in property, have fairly low balances, borrow money and often bought an off-the-plan property from a property developer,” said Ms Metz. Ms Metz noted that ASIC has already publicly announced that it would be looking at one-stop shops. “These are organisations that will set you up an SMSF, find you a property, work out your borrowing arrangements and also do your legal advice as well. We are very concerned about those sorts of arrangements,” she said. Ms Metz said there is also very little discussion with SMSF advice relating to property around issues such as liquidity and falling property prices. “People are set up with a property, but there is no discussion of what happens when you retire – does the property need to be sold? Will you be able to live off the rental yield? What happens if prices drop?” she warned. 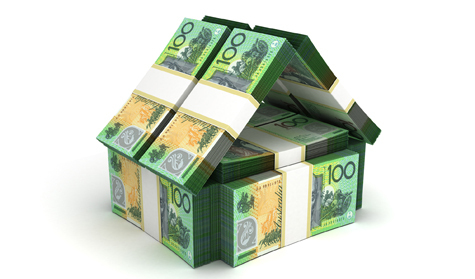 Speaking in the same panel, ATO deputy commissioner James O’Halloran said the ATO has likewise seen inpiduals who have not properly considered the risks with setting up an SMSF and investing in property. “On the ground, we see people who may not have made an informed decision or one that appears to be a very binary decision of, ‘I want a house to invest in’, and maybe that is not an informed decision, or one that does not consider risks,” said Mr O’Halloran. As part of the ATO’s vetting process for SMSFs, Mr O’Halloran said some of the reasons from inpiduals for setting up a fund have included a family member telling them to do so or to buy a house or holiday. “To some of you, you might think this is laughable. The naivety of those elements reinforces the point. The seriousness of this decision for your future is not a reason not to do it, but go in informed,” he said. SuperConcepts executive manager of SMSF technical and private wealth Graeme Colley said that whether limited recourse borrowing arrangements get banned may be determined by the market with the big banks pulling out and trustees looking to mezzanine lenders instead. Mr Colley said he expects a decrease in borrowing by SMSFs as it becomes increasingly complex and property prices in capital cities continue to fall.